Strong realizations boosted profit at Madras Cements Ltd in the three months ended September. In spite of the 9% year-on-year (y-o-y) dip in cement despatches, revenue rose 27% to Rs825.7 crore. The reason was that cement prices held out in southern India, despite volumes falling due to sluggish government activity and the festive season towards the end of the quarter. Key concern for analysts is the fact that it’s the production discipline maintained by cement makers that has helped pull off higher realizations to cover costs. 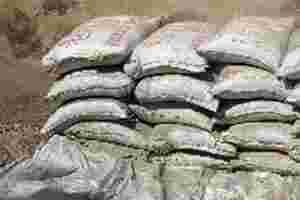 But Madras Cements, which was one of the lowest-cost producers of cement in the country, has seen a deterioration in efficiency. A report by Anand Rathi Share and Stock Brokers Ltd says, “Power consumption (per tonne of cement) is now 83 units (72 in FY06) and fuel (as per cent of clinker used) is 14% (11% in FY06)." Unfortunately, sales from the windpower segment—a major contributor to profitability—dipped by 25.3% during the quarter from a year ago. According to the company, sale of 23 megawatts worth of wind mills last year and the power cuts in Tamil Nadu led to this drop. Still, Madras Cements’ operating profit grew 2.3 times from a year before and was 10% higher than that in the June quarter. In line with analysts’ expectations that the southern firms will see better margins on account of strong cement prices, the company’s operating profit margins almost doubled to 33%. Net profit was in line with estimates at Rs110.9 crore —about 3.5 times higher than a year before. In anticipation of good results, the stock price has rallied in the last two months, almost touching the 52-week high of Rs126. Although the firm could post a robust performance going forward, the current quarter would be weak, given that about 80% of its sales are in the southern region, where monsoon and sluggish infrastructure activity could pull down volumes and moderate cement prices.